Key Beauty and PF2 are doing a charity event in PF2 Gym in Malvern, in association with Dr Stavreva (Stassi) their Anti wrinkle Specialist on Monday 9th October. On the evening they will be show casing their latest trends for everything about new faces! 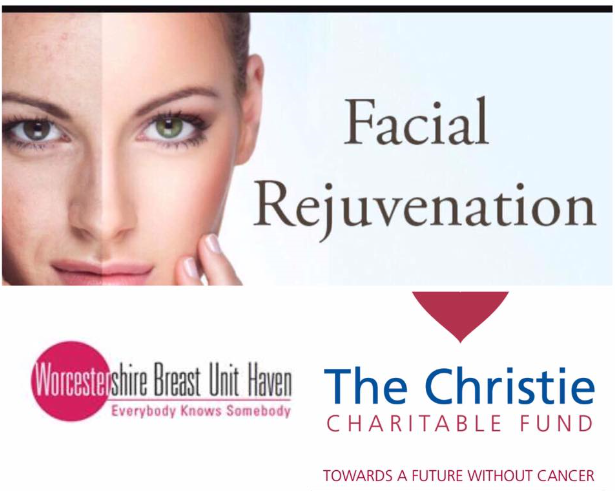 They will be showing the benefits of regular facials, skin peels, Anti wrinkle fillers along with semi permanent make up and HD Brows programme. There will also be demonstrations in Meso Facial rejuvenation, Skin Peels, Microdermabrasion and HD Brows and lash lifts and tints. The event is in aid of 2 Cancer Charities the Worcestershire Breast Unit Haven and The Christie Charitable Fund. Come along and enjoy the evening and some refreshments with us. Entry is FREE however any donations on the day are much appreciated and all for a good cause. There will be an auction and a raffle. To find out more about the event, please visit their event page on facebook (link listed below) or call PF2 Health Club Malvern on 01684 577333.